Hampton Roads-based residential real estate firm Prudential Towne Realty is aligning itself with the Oracle of Omaha. On January 7th, 2014. Prudential Towne Realty becomes part of the Berkshire Hathaway Home Services team. They will then be known as Berkshire Hathaway Home Services Towne Realty. In flying the Berkshire Hathaway flag, Prudential Towne becomes part of the residential real estate franchise that Warren Buffett’s conglomerate began building two years ago. A case for title insurance- What do you mean I don’t own my land anymore ? In my job as a real estate agent I am always asked by clients why do we need title insurance ? Here is one instance where the buyer was very lucky to have bought it. 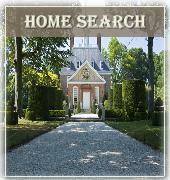 In spring 2013, the Virginia Beach real estate market was up, and Guy Gugliotta was thinking about selling. 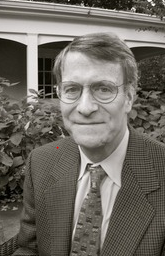 For decades, the New York writer had owned two vacant lots on the seaside in Sandbridge – investment properties surrounded by vacation homes. With thoughts toward buying in another part of the country, he contacted Siebert Realty in Virginia Beach to talk about options. The call seemed to surprise the agency, and the agents’ response surprised Gugliotta even more. He couldn’t sell the properties, they said, because he had already sold them. Didn’t he remember? The deal had closed the previous August. Gugliotta was floored. He hadn’t sold his properties, so who did? And in the world of real estate, so full of documents, signatures and attorneys, how could someone do that? Those questions have dogged Gugliotta through court proceedings in which he fought to reclaim his property and through calls to law enforcement agencies he hopes will catch the thief. The same questions have haunted the two buyers who thought they made above-board purchases and the agencies and banks who thought they were conducting a standard real estate transaction. The truth bewildered them all. But the most startling discovery may be that while this exact crime is rare nationally and in Virginia Beach, some who work in real estate say it’s surprisingly easy to commit. "It’s mind-blowing how vulnerable our system is," said Billy Joe McFarland, a Florida attorney who works in real estate law. He said he’s seen fraudsters fake deeds and pretend to be owners, but Gugliotta’s case seems to be the most brazen yet. The 2014 Hampton Roads Solar Tour is a self-guided tour of over two dozen Hampton Roads homes and businesses that run on solar energy, as well as homes with other renewable energy and sustainable technologies. Selected sites throughout all of Hampton Roads will have free open-house tours to showcase technology and share information on solar energy. This year four specific tour areas will be available: Southside, Peninsula, Middle Peninsula and Eastern Shore. Experts will be on-hand at each site to answer questions. 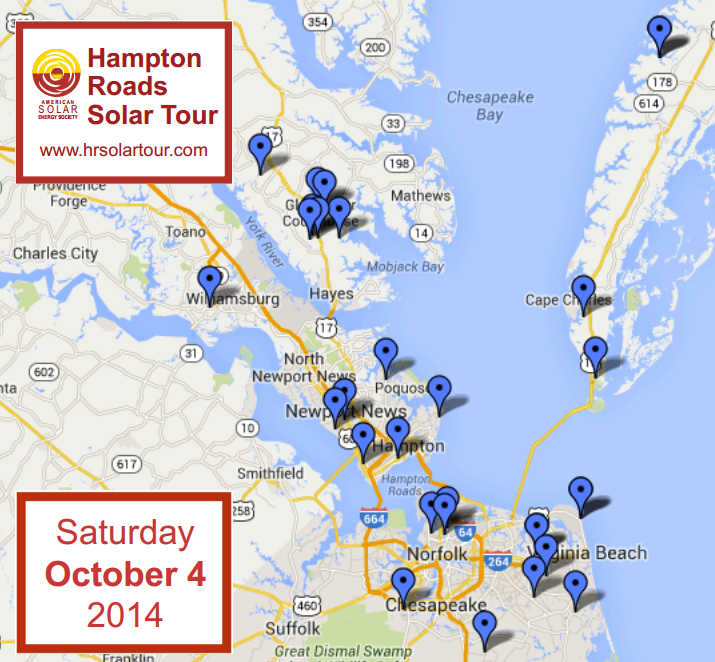 The 2014 Hampton Roads Solar Tour will be held on Saturday October 4, 2014. The central site at [TBD] will have educational material, speakers on sustainability and renewable energy technology, and vendor displays for renewable energy firms. As energy prices rise, this event offers participants the opportunity to tour homes and buildings to see how Virginians are using solar energy, energy efficiency, and other sustainable technologies to reduce their monthly utility bills and help tackle climate change. The 2014 Hampton Roads Solar Tour is sponsored by the Hampton Roads Green Building Council. The local tour is part of the National Solar Tour. This year, more than 170,000 participants are expected to visit some 5,500 buildings in 3,200 communities across the United States. Now in its 18th year, the National Solar Tour is coordinated by the American Solar Energy Society (ASES), a non-profit organization, This is the seventh year for the local tour here in Hampton Roads, and last year there were over 600 participants! Get stamps at three sites you visit on the tour, including the central site, and you can enter in a drawing for great local prizes: a folding bike from Origami Bikes, wine from Good Luck Cellars, beer growlers from Smartmouth, and a $50 gift certificate for Crocs! Registration is free! Register HERE today! Here is my 2014 annual list of area fireworks and 4th of July celebrations for the Williamsburg, Yorktown and Hampton Roads VA areas . View Independence Day fireworks at any of our region’s displays this year, and ooh and ahh en masse. Or watch the sky light up from the relative privacy of a neighborhood street, the top of a building, or a park bench near the water. Have any secret tips about what to do or where to park. Please add them in them in the comments section below for all to share. Thanks and Have a Happy 4th ! Chesapeake: Join us July 3 for a holiday concert w/ Fireworks @ 7:30. Come out and celebrate our nation’s birthday under the stars, featuring lively music and a fireworks finale! FREE admission. ($5 fee for on-site parking will help us continue this great family event!) Bring lawn chairs and/or blanket. You can purchase food at the concessions for a picnic supper. Hampton-With several special events along with our usual popular attractions, you and your whole family can spend Independence Day at Fort Monroe. During the day, you can visit the beaches and Engineer Wharf Fishing Pier. City of Hampton lifeguards will be on duty from 10 am – 6 pm. At 10 am there will be a flag raising ceremony to honor the life of President James Monroe, our fifth President and for whom Fort Monroe was named after. Then stop by the Casemate Museum to explore the military history of Fort Monroe and gather your Fort Monroe National Monument Junior Ranger program information and Passport stamps. Family fun activities will be offered in the Wherry Quarter of Fort Monroe. The Music by the Bay Summer Concert at the Wherry Quarter will feature the US Fleet Forces Wind Ensemble. The concert will begin at 8 pm. Food vendors will be onsite. Bring your lawn chairs, blankets and picnic baskets. . Fireworks—this year, Fort Monroe will present a new twist on Fourth of July fireworks! Instead of a traditional aerial fireworks show, a 12 minute close proximity show will be launched from the top of the fortress wall at 9:15 pm. This show, presented by Pyrotecnico of New Castle, PA, will highlight the unique features of the stone fort and offer a view of the Fort never seen before. Close proximity fireworks offer a more entertaining show and use less space. They are intended to be viewed within a close distance so that the pyrotechnics can be seen from the ground up. The ideal location to view the fireworks is just north of Outlook Beach, along Fenwick Road from the East Gate to Stillwell Road. Newport News-Everyone is invited to the Virginia Peninsula’s biggest Fourth of July party – Fourth of July Stars in the Sky at Victory Landing Park. This waterside park, which offers spectacular views of the James River, is filled with 30,000 people who come to celebrate our nation’s birthday. The evening begins as crowds gather to enjoy summer’s favorite foods from a variety of vendors and children check out the rides and crafts. As dusk approaches, the stage comes alive with the music of a nationally-known entertainer. As the last note from the concert ends, the sky over the James River explodes with a kaleidoscope of color in a spectacular fireworks show. Free parking. Victory Landing Park is located at exit 6 from I-664, just minutes from Colonial Williamsburg, Norfolk, Virginia Beach and all Newport News attractions. Norfolk July 4 – Annual AT&T Fourth of July Great American Picnic & Fireworks – 5pm – 10pm – Leave the grilling to us on the 4th of July and bring your family and friends down to Town Point Park! Fireworks begin at 9:30 p.m.! Portsmouth – July 4 – Independence Day Celebration – 9:30 p.m. – Fireworks light up the sky in celebration of our Nations birthday. View the fireworks from the Seawall or along Crawford Parkway. The right side of the river! Smithfield July brings fireworks to Isle of Wight County! On July 3rd bring the family to Clontz Park in Smithfield, and on July 4th come out to Windsor High School in Windsor to watch the spectacular array of color light up the night sky. Suffolk Enjoy the Stars and Stripes Spectacular as the skies of Suffolk light up with the firework show over the Nansemond River at Constant’s Wharf Park & Marina. The park will open at 5:30pm with entertainment, children’s activities, local merchandise vendors and food choices available. The fireworks show will begin at 9pm, for the whole family to enjoy! Free and open to the public. Virginia Beach – July 4 – 4th of July Celebration at First Landing SP – 10am – 9pm – Come out for a day full of fun events celebrating our Independence Day! All activities will begin under the big tent at the end of the main boardwalk on the beach. This fantastic day of fanfare will end with our annual fireworks display. Virginia Beach – July 4 – July 4th Celebration at Mount Trashmore – 4pm -10pm – Celebrate America’s birthday and salute the military with live main stage musical entertainment, children’s activities and delicious festival foods! The night concludes with a BANG – ooh and ahh at our fabulous fireworks display that will fill the summer sky. FREE with on-site parking (fee). Virginia Beach – July 4 – Stars and Stripes Explosion – 8pm – Close – Great music, fun in the sun, and breathtaking fireworks over the ocean! Enjoy the Virginia Beach Symphony Orchestra and Virginia Beach Chorale as they perform on a stage built right on the beach at 20th Street. Virginia Beach – July 4th – 4th of July Fireworks at Sandbridge Beach – 6:30pm – 9pm -At 6:30 pm on July 4, the annual Boat Parade will begin. 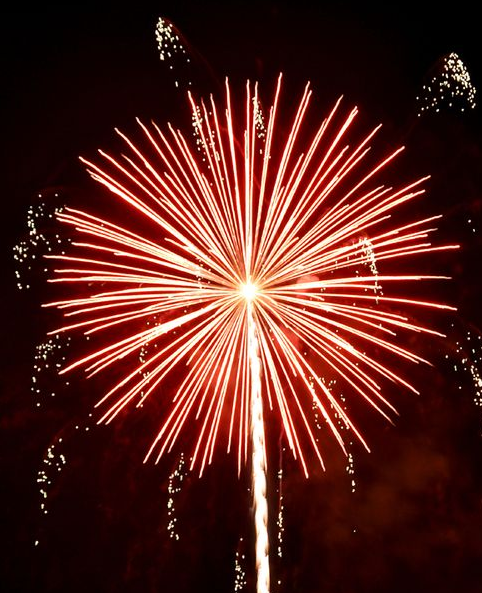 The Fireworks display will start at 9:00 pm and be set off from the Mill Pond at Sand Bend Road and Back Bay Crescent. A July 5 rain date is scheduled. Williamsburg – July 4 – Independence Day Celebration at Colonial Williamsburg – 10am – 10pm – Celebrate the anniversary of the nation’s birth in Colonial Williamsburg’s Revolutionary City for a vibrant and patriotic celebration. With a dramatic reading of the Declaration of Independence, a leisurely picnic, a performance by the Virginia Symphony Orchestra, and a dazzling display of fireworks – you’ll want to come early and stay late into the evening. Williamsburg Busch Gardens® celebrates America with a bang during an all-new summer spectacular, “Star Spangled Nights” July 3 through Aug. 10. This event inspires park-goers through fireworks, moving original soundscapes and unforgettable environments. Unique merchandise and culinary offerings blend seamlessly with rich musical traditions, creating a fun red, white and blue event that can only be found at Busch Gardens. A special extended fireworks event will be presented July 3 – 5 to celebrate the Fourth of July. Yorktown -Thursday, July 4 – Independence Day Celebration, 9 am. Come to historic Yorktown and salute America along the waterfront! Festivities begin at 9 a.m. with the patriotic parade on Water Street. Evening activities feature a bell-ringing ceremony at 7 p.m.; a patriotic concert at 8 p.m. at the Riverwalk Landing stage; and, a spectacular fireworks show on the York River at 9:15 p.m. For complete information, visit the July 4th website. The Bureau of Economic Analysis estimates for the Gross Metropolitan Area Product (GMP) indicate that Hampton Roads experienced its third consecutive year of real growth in 2012. GMP rose to a nominal $84.8 billion, an inflation adjusted increase of two percent. The Hampton Roads economy grew by 0.5% in 2011 and 1.2% in 2010.